Thanksgiving is always my favorite holiday by far. Mostly because of a few main factors. First it comes directly at the end of our guide season. We have been guiding fisherman and then hunters from about April 1 and this is the first real break we have see from a 7 day a week schedule for months. We are punch drunk, exhausted, confused, happy and sad all at the same time. A full season is rough and when you slam the door on one the flood of emotions hits you. The second reason is that Thanksgiving makes you take stock of where you are and what is truly important. I know this sounds cliché and might be fueled from systematic exhaustion but the emotion of it all is strong. I have been told that the best things in life are not things at all. The small level of success we have achieved as an organization is due to the efforts of others. I am beyond thankful that others believe in my dream as much as I do and work tirelessly every day to make it a reality. Our team of misfits is more of a family and brotherhood than a typical work relationship. These guys and gals are better at their job than I am at mine. Our core guides, shop manager, shop staff and even the behind the scenes folks work harder than most people imagine. My dream could not work without them and for that I am truly thankful. All of these people who make this dream work would not be here without our great guests. You folks continually put your trust in us. We all would not be living our dream if hundreds of people from around the country and world did not continue to support us with their time, vacations and business. Montana and the public lands that we make a living on are a special place. We are very fortunate to share, guide and be the ambassador for out of state folks on our public lands. With out Montana and the public lands and waters we would be out of business. Even if our business were to fail our connection to our public lands and Montana is there for life. I am thankful for the public lands and waters and Montana in general. I am thankful for a our business. This includes the crummy 100 year old building full of ghosts of fisherman past. The Tackle shop is bigger than any one person. 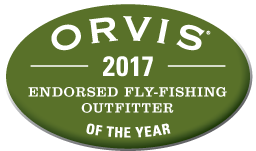 It has grounded me not just to the Montana fly fishing community but to the Town of Ennis and the people. The spirit of this little town is infectious and there is no where I would rather be. Mostly I am thankful for my wife. She is the real person who keeps the ball moving down the field. From constantly making sure the little things are taken care of. Like keeping the bathroom at the store clean, prepping and making amazing guide lunches each day which sets us apart to being my biggest critic and cheerleader. Her energy for all things and behind the scenes work keep my life humming along. The choices you make in life have consequences and in this case I made a wise choice. The third reason I love Thanksgiving is I like food. Nuff Said. We hope everyone from our Tackle Shop family feels as fulfilled as we do. 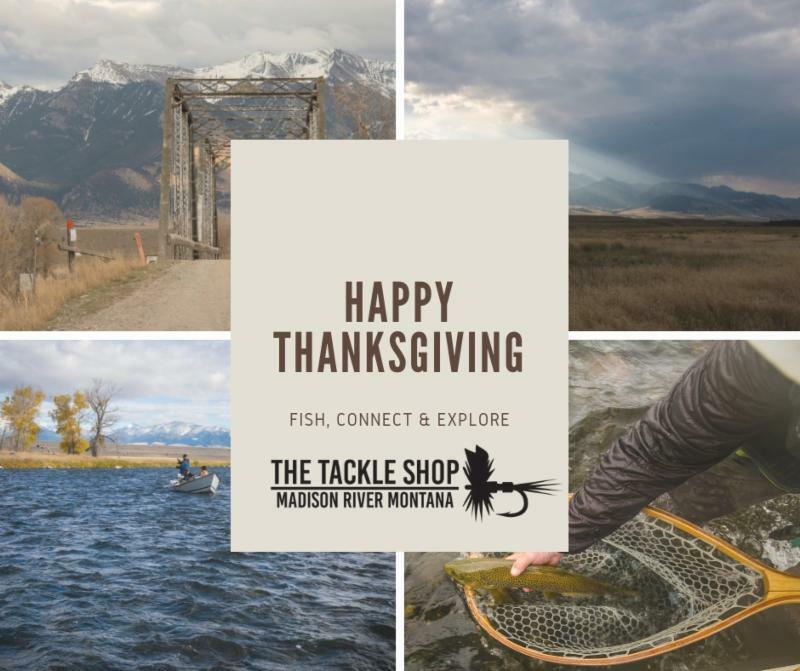 We hope all of our friends from our extended Tackle Shop Family feel as thankful as we do. As always if there is anything we can help with please let us know.